Meetups and special Events are great resources for Motion Design artists. Here's a list of every MoGraph meetup we could find. No matter if you consider yourself a motion designer, visual effects artist, or 3D animator, you’ll find out over the course of your career that having the ability to collaborate with others is essential for growing your skills and progressing your career. It is also imperative to stay up to date with the latest trends, tools, and techniques for your chosen field or platform. While many of us can, and will, find digital solutions for collaboration and continuing education, there is something to be said about meeting up with your fellow peers one on one. This is where meetups and special events come into play. For those unfamiliar with the concept of meetups or special events, let’s break down what they are, and why as you should pay attention to them as a Motion Designer. What is a MoGraph Meetup? A MoGraph Meetup usually takes place at a designated spot such as a conference building, cafe, studio, or community arts center. The purpose of these meetups is to gather people together who are interested in a particular topic, for us that would be Motion Design. Once we’ve gathered together, we can use our meetup time to discuss the latest tools and techniques. Or, maybe we can seek out advice and help on a current project from others in the group. Then again, we could simply use the time to network with others who are in the same field. While meetups can come in about as many flavors as jellybeans, the typical MoGraph meetup follows this format. The point of the meetup is to connect with other professionals within your field. Don’t worry about your skill level, because the vast majority of the meetups will have everyone from beginners with little knowledge, to savvy veterans who know the tricks of the trade. Meetups are usually organized via social media platforms or an online event site. You can see a big list of MoGraph meetups below. Now events, as you would suspect, are a little different than Meetups. Most events in our field usually take place once a year and are one-off gatherings meant to showcase new trends, techniques, and products, or to provide continuing education. Then there are the large scale conferences and conventions that will showcase a keynote speaker, supported by a number of additional guest speakers, and vendors important to our industry. Just remember that special events, such as NAB or SIGGRAPH, can be great resources for networking as well. You’ll meet fellow designers and artists from all over the world, which will give you the chance to really expand your connective footprint. Plus, they almost always provide you with great opportunities to join in on specialty workshops that teach you new software, new plugins, or new techniques. A website like Eventbrite can aid you greatly in trying to find the right convention or conference for you. Again, the most important aspect of either one of these options is that you’re out there connecting with people and getting the one-on-one time that you may not have had before. Why is it so important to do this? Because it allows you to build relationships with your peers, which can be incredibly beneficial as you grow in your career. With this said we have compiled the ultimate guide for MoGraph meetups and events. To make things easier on you we have broken down our list to include Europe, Canada, Asia, the Pacific and the United States. Our list for the United State is broken down even further based on region, and at the time of this writing we have the East, South, West and Midwest regions. As time goes on we will update this list and expand the regions in order to provide you with the best possible information regarding Meetups and Events in your neck of the woods. The Meetup and Event list below is a comprehensive list covering the intercontinental United States, and are only listed if they are currently active within the community and, or, industry. NYC Motion Graphics Meetups New York, NY NYC Motion Graphics hosts regular monthly meetups and events for motion designers in the New York Area. With over 5000 members this is a great resource for connecting with other designers and to get the latest information on portfolios and job postings. The NYC Adobe After Effects Meetup Group New York, NY With a membership of over 500 people, The NYC Adobe After Effects Group provides a great opportunity for designers to network and collaborate. While this group is After Effects centric, they do dive into 3D animation, and bring in a number of award winning guest lecturers. This group meets in the Pond 5 offices in New York City. New York Houdini User Group (NYHUG) New York, NY This group meets monthly and specifically covers Houdini, but they do cover a range of topics from 3D Modeling and Animation, to VFX and Game Development Software. They are a highly inclusive group so no matter if your an expert with Houdini or just starting out, your always welcome to attend. New York Animation and Visual Effects Meetup New York, NY This New York based group has over 200 members and meets monthly to learn about and discuss new opportunities and events in the New York area for designers and artists. The core aim of this group is to network and connect artists in the fields of CG art, digital painting, film editing, compositing, VFX, art, and Motion Design together. Boston Digital Animation Meetup Boston, MA This Boston based group has 27 members and meets monthly to discuss motion graphics, character animation, and digital video techniques. They also focus specifically on programs like After Effects and Cinema 4D, as well as plugins such as Overlord. The goal of this group is to connect beginning and advanced animators together, while sharing techniques and notes. Oh, and don't forget the pizza! Boston Mograph - Life with Pixels Boston, MA A Boston meetup group for all artists who eat, sleep, and breath digital creative work. With 100+ members to date this group meets a few times a year and uses their time to eat, drink and talk creation. Attendees will have the opportunity to talk with pros, listen to some amazing talks and have their work or reels reviewed. If your in the Boston area this is something you don't need to miss. Type in Motion Washington, DC This group is for those in the DMV Mograph community to get out from behind their computer screens and become a bigger family. It consists of 87 Slack members that meet at least once every other month, sometimes more than that. NAB SHOW NEW YORK New York, NY NAB is the convention and conference for creatives in television, radio, film and media arts. At NAB Show - New York attendees will find many of the same great vendors, workshops, and networking opportunities that are showcased at the main convention in Las Vegas. As of the 2017 show, attendees can take advantage of over 200 workshops in various fields, that include visual effects, motion design, and 3D animation. A Bunch of Short Guys Dallas, TX This Dallas based non-profit animation guild offers monthly meetups and special events that focus on 3D animation, video game design, and VFX. The aim of this group is to provide resources to the community of entertainment professionals, educators and students. They also host the annual Industry Giants convention. DFW C4D Meetup Dallas, TX Started by Brograph, this group meets up bi-yearly and brings together the very best motion graphics professionals in Texas. Their events work to give attendees a great networking and continuing education opportunity, while also helping to build the community in the Dallas / Fort Worth Metroplex. Austin Motion Artists Group Austin, TX This group meets monthly and has a membership of over 350 artists, and 470 Facebook connections. The majority of the members are made up of creatives from different areas in motion design and post production. The aim of this meetup is to connect creatives together for discussions and to network with one another. Most of these meetups are informal at local bar's in the Austin area, however the group will showcase some formal talks and presentations throughout the year. ABUG (Austin Blender Users Group) Austin, TX This Blender centric meetup group convenes once a month and currently has over 280 members. The aim of this meetup is to connect 3D Blender artists together for networking, trading tips and tricks, bringing in top Blender artists, and to explore Blender games. This is all in an effort to support and inspire the Blender community in Austin. Houston VR Developers Meetup Houston, TX This Houston based meetup group showcases over 400 members from a wide variety of backgrounds such as developers, programmers, designers, artists and thinkers. The aim of this group is to bring in beginner to advance level VR creators together to talk shop, run demos, network, and be creative. MoGraph Orlando Orlando, FL With over 500 online members in its roster this Orlando based meetup focuses on Motion Graphics and Design, and meets slightly more than quarterly each year. With a diverse range of topics that include After Effects, Cinema 4D, Nuke, Houdini and more attendees can expect to network with some amazing artists and learn some new tools, tips, and techniques. CAVEMODE Charlotte, NC With over 150 online members this Charlotte based meetup group brings animators and motion designers together semi-quarterly each year. The focus of this group is to connect artists with one another, share job opportunities in the area, and to bring in speakers who present a project breakdown. Meetings are informal and relaxed with food and drinks available. Miami MoGraph March Meetup Miami, FL With over 150 members and growing, this Miami based meetup group meets about once every other month to showcase Cinema 4D R20 and After Effects topics. This group is a great chance to meet other artists and find opportunities in the industry. Music City MoGraph Nashville, TN Calling all Nashville (and surrounding area) animators and motion designers! Let's get together once a month to talk shop and swap war stories! All skill levels are welcome. This group was started for the community, but we can develop out programming once we gain interest and momentum. EASE Atlanta, GA This motion graphics collective based on Atlanta, Georgia showcases 30+ members and meets every 3rd Thursday. This group covers a wide range of software and techniques, but primarily focuses on connecting businesses with artists, and those artists with other artists. All of this is open to freelancers, staffers and anyone interested in the motion design arts in the Atlanta area. Industry Giants Dallas, TX Hosted by the non-profit guild A Bunch of Short Guys this annual event offer attendees a full day of master classes, networking and discussions with a distinct lineup of industry professionals from the animation, video game and VFX industries. Chicago Motion Arts Group Chicago, IL CMAG started in 2010 with the expressed intent of helping to foster a community of motion designers in the Chicago area. With a focus on motion design, animation, and 3D this group meets bi-monthly on the 1st Wednesday where they discuss industry news, experiences, and share ideas and techniques with peers. Chicago C4D Chicago, IL Chicago C4D is a long running meetup group in Chicago which focuses on motion design and 3D animation. They meet bi-monthly, but do so opposite of CMAG. Attendees can expect to have lively conversations and behind the scenes looks with some of the very best professionals in our industry. In addition to the bi-monthly meetups Chicago C4D hosts the annual HalfRez event for motion designers and 3D animators. MoGraph Monday’s Detroit Detroit, MI Motor City USA hosts a monthly motion design meetup called Motion Monday’s Detroit. This is a monthly meetup that takes place on the last Monday of every month. With over 350 members this once small community is growing rapidly and aims to connect motion designers, CG artists, and other creatives together within the Detroit area. KCVideoCore Kansas City, MO This Adobe Sponsored monthly meetup gathers every 3rd Tuesday, and discusses Adobe Creative Suite, plugins, filmmaking techniques, and the latest film gear. With over 500 members and up to 60 monthly meetup attendees this is a great group to connect with for networking and continuing education. Motion Makers Milwaukee, WI Blackbox Visuals in Milwaukee hosts a quarterly meetup specifically focused on motion design and animation. The goal of this meetup is to connect motion design students, professionals, and entrepreneurs within Midwest together, as the industry is small but growing in this region. MNAE Minneapolis, MN This Minnesota user group boasts over 400 online members and focuses on After Effects. Meeting roughly every two months attendees can expect to hangout with other mograph artists in a relaxed atmosphere where they can talk shop and take part in presentations from area designers. Nice Moves Minneapolis, MN Nice Moves is an organization that aims to elevate Minnesota to become a vital part of the larger Animation, Design, and Visual Effects Industry. Their work focuses on providing resources and assistance to local artists and studios. Their goals are to retain local talent, attract new talent, and show the world that great creative work grows in the Midwest. Not only do they host their own events, they also highlight all the great motion-related events in the Twin Cities area—everything from user group meetings to art shows to calls for submissions. Looking for inspiration? They have just the thing! Their monthly Spotlight is a series of in-depth interviews with local professionals and project behind-the-scenes. Minnesota After Effects User Group Minnesota This Minnesota user group consists of over 400 Facebook group members and focuses on After Effects. Meeting roughly once a month attendees can expect to hangout with other mograph artists in a relaxed atmosphere where they can talk shop and take part in presentations from area designers. SWIM (Strong Women In Motion) Minneapolis/St. Paul, MN With over 140 Facebook likes, this group meets every 2-3 months for brunches and screenings. Their motivated community celebrates and supports female, trans & non-binary animators, so everyone may see themselves within the visual effects, animation, and motion graphics industries in Minnesota. Half Rez Chicago, IL Now in its 8th year, HalfRez is a one night event crammed with guest speakers, networking, drinks and lively conversations about motion design and the industry. This event meets in Chicago with 250+ attendees, covering motion design and 3D, and even brings in big name guests such as Andrew Kramer of Video Copilot. The Illustration Conference Detroit, MI ICON is a large scale conference for illustrators, designers, educators, and more. While this isn’t a motion design conference, the organizers of ICON have slowly been including motion design into their lineup and schedule. As they showcase the link between Illustrator and After Effects, and graphic design and motion design more and more, this will be one conference that mograph designers need to pay attention to. Colorado C4D Denver, CO This close knit group focuses on fostering and building up the Cinema 4D and motion design community within Colorado, and the Denver area. While they don’t have regular monthly meetups, they do host some amazing sessions when they do meet. This is a great way to connect and network with other professionals in the Denver metro area. Sauce Society Denver, CO This Meetup group meets up once a month, with the venue changing at different area bars in the Denver arts district. Their meetups are far more casual and less specific to any formal structure, as they aim to connect professionals and beginners within the motion design, VFX, animation, and video production industries. Motion Graphic Network Parker, CO This small and personal group hosts 11 members and meets monthly in a relaxed setting. From professionals to novices, all levels of motion graphic designers are welcome to join. Attendees can expect to gather together and discuss the industry, trends, software, plugins, and all thing mograph. Salt Lake Motion Graphics Group Salt Lake City, UT This Salt Lake City based group welcomes artists interested in VFX, 3D animation, Cinema 4D, and After Effects. With over 300 members this group meets Monthly and focuses on networking, finding jobs, creating jobs, projects, knowledge sharing, and expanding the motion graphics scene in Salt Lake. Remember to check the group event calendar for dates and times for meetings. Phoenix Motion Designers Phoenix, AZ Based in the Phoenix, this user group has 144 members and will meet monthly in low key settings. The aim of this group is to connect motion designers and animators living in the area, then give them a space to network, share insight, ask questions and inspire one another. DMALA Los Angeles, CA Deep in the heart of LA you can find Digital Media Artists / Los Angeles (DMALA). This user group meets monthly on every 3rd Tuesday, and with over 400 members they aim to connect video creatives of all kinds together within the Los Angeles metro area. For those in the motion design, VFX and animations fields this is definitely a user group to check out. MadreLA Los Angeles, CA This LA based user group meets monthly and is supported by over 160 members. While it is a diverse user group they focus on Motion Design and aim to foster and build up that community within the Los Angeles metro area. Ladies in Mograph Los Angeles, CA Ladies in Mograph is a casual monthly meet up for women working in motion graphics, as well as all related fields. Designers, animators, directors, producers, beginners and experts- all are welcome to this meetup! LiM's goal is to support, spotlight + amplify female voices in the industry. R&D Los Angeles, CA With over 300 followers R&D aims to create a community amongst freelancers & studios in the LA area. This group of users meet once a month and work diligently to provide a space for motion designers to come together, relax, network and learn from one another. LAHUG Los Angeles, CA The LA Houdini User Group showcases 450 online users and relatively meets once a month. Attendees to this meetup can expect to cover all aspects of the Side FX software Houdini. All user experience, from professional to beginner are welcome to attend, and the group extends invitations to animators, game developers, modelers, motion graphics artists and more. SF Content Creators San Francisco, CA This San Fran based user group welcomes video editors, animators, filmmakers, mograph artists, designers and more while boasting a membership of 1,188 users. The groups aim is to connect artists together and provide talks, networking, resource sharing, tutorials, and business development all while keeping the meetup relaxed and friendly. Motion Designers of San Francisco San Francisco, CA With 495 members this San Francisco based user group meets monthly to discuss motion graphics and design. They are an inclusive group and welcome filmmakers, animators, vfx artists, mograph artists and more. They seek to provide users with a solid atmosphere where they can network and collaborate. After Effects Seattle User Group Seattle, WA As the only AE user group in the Seattle metro area they boast over 1700 members and meet monthly to bring their users together and offer a place for artists in motion design, visual effects and 3D animation a place to network and connect. Cinema 4D Seattle (C4DSeattle) Seattle, WA Meeting every first Wednesday of the month this Seattle based user group hosts 537 total members and counting. The aim of this group is to bring local 3D designers together and network, share, and inspire. Attendees can expect to see professional presentations as well as get the latests tips and tricks from the experts. Portland Motion Designers and Animators Portland, OR With 60 meetup members and 282 Facebook followers this Portland based user group is growing. Meeting on the last Wednesday of each months this group focuses on storytelling, software and design. There is also plenty of opportunity to network and exchange ideas, inspiration, and freelance work. DMAOC Orange County, CA If Cinema4D, Octane Render, Red Shift, Arnold, C4D plugins, Cycles, Xparticles, After Effects, After Effects scripts and plugins, Premiere, Mocha Pro, Photoshop, Illustrator are the type of tools that you deal with in your life, this is the meetup group for you. At the meetup artists will be share tips, network, and get to know fellow motion designers in the area. Check out Digital Media Artists of Orange County for more information on the group and come meet up with them on the last Tuesday of every month at 6pm. AEPDX Portland, OR This informal meetup group gets together on the last Wednesday of every month to discuss design, storytelling, software, and client horror stories. They have 60 Meetup members, 282 Facebook likes and are growing consistently. Bend Design Con Bend, OR This annual convention is hosted and overseen by the non-profit organization Bend Design. The aim of the convention and of Bend is to equip future designers with the tools, connections and inspiration to help shape the world and its future. The convention showcases several design disciplines including motion design. The MoGraph Meetup Las Vegas, NV Every year at NAB in Las Vegas our very own School of Motion team co-hosts The Mograph Meetup. This is a star-studded party averages 350+ attendees and is open to all within the motion design industry. The only requirement to get in is you must know what the F9 hotkey does in After Effects. NAB Show Las Vegas, NV The annual NAB Show is the ultimate event for the media, entertainment ,and technology industry. With over 100,000 yearly attendees it is the must visit event for all video nerds the world over. In fact, you may never see a larger collection of media geeks in your life. SIGGRAPH Los Angeles, CA This five-day immersive conference is bombarded by over 16,000+ attendees every year, and aims to focus specifically on the CG, animation, video games, digital arts, mixed reality, and emerging technologies. If you plan to attend you’ll experience amazing research, hands-on demos, and amazing opportunities for collaboration. Adobe Max Los Angeles, CA Adobe Max is what happens when you mix Coachella and the Creative Cloud. This event hosts over 12000 die-hard Adobe users and focuses on motion design, graphic design, and illustration. Motion Conference Santa Fe, NM While labeled as a conference, this Santa Fe event is more of an ‘un-conference’. With over 300+ annual attendees the good folks at MC aim to bring motion designers, animators, VFX artists, and filmmakers together under one roof to collaborate and discuss their craft. After Effects World Location Varies This 3-day conference brings Adobe-using professionals together to share ideas, tips and tricks, and showcase creative projects. Plus it's in Seattle so you can snag that sweet sweet coffee. The Meetup and Event list below is a list covering Canadian Motion Design meetups and events. Note that only active events are listed. Montreal Motion Meetup (MOMO) Montreal, QC The MOMO motion design user group meets monthly in Montreal, and focuses on animation, 3D and motion design. With a membership of over 150 users this group would be a great option for any professionals or beginners within the Montreal area looking to network. The meetups are casual and non-formal. Montreal in Motion (MIM) Montreal, QC Boasting a 1600+ online membership this user group is an artist run non-profit organization, which creates events specifically to bring digital artists together for collaboration and networking. Meeting each month this group focuses on motion design, animation, VR, interactive, and immersive content. A definite must for motion designers in the Montreal metro area. Montreal Animation, 3D & Video (OPTICUS Lab) Montreal, QC OPTICUS Lab is a start up post production house in Montreal which hosts monthly events for the mograph community. With 79 members already signed up this meetup promises to be a solid networking and inspirational tool for artists in the Montreal area. Toronto Motion Toronto, CA This monthly meetup user group boasts 600 online members and meets every last Friday. While the focus of the meetup is on motion design and animation, the meetings are very casual with users from beginners to professionals gathering together for drinks and discussion about the industry. Vancouver Motion Meetup Vancouver, BC This user group totals nearly 700 online users and meets monthly for organized events, guests speakers and parties. 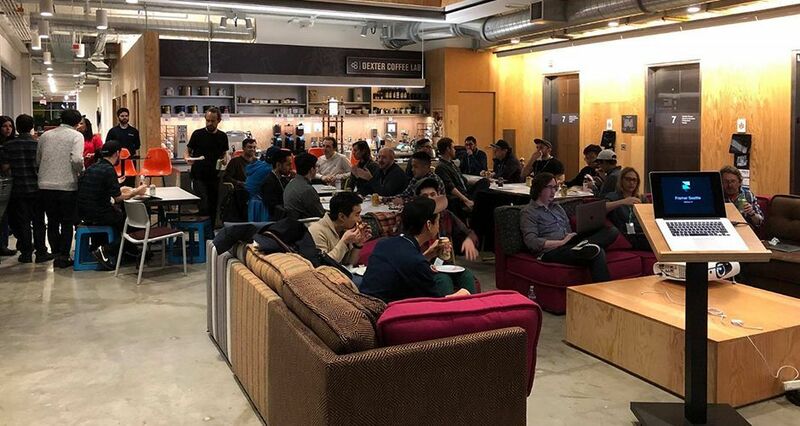 The aim of this meetup is to connect motion design and visual effects professionals in the Vancouver area, which is vital as the motion design industry is growing rapidly in the region. Blend Vancouver, BC With a focus on motion design and 3D animation Blend is a conference-style party in Vancouver. With nearly 300 annual attendees this event is a great way to connect and collaborate with other professionals and make things amazing things happen. FITC Location in Canada Varies FITC stands for Future. Innovation. Technology. Creativity. It is these four words that the organizers state capture the essence of what their events are all about. By producing inspiring design and tech focused events they aim to educate their 60,000+ design and motion design attendees each year. The Meetup and Event list below covers Latin & South America Motion Design meetups and events. Note that only active events are listed. Anymotion São Paulo, Brazil Unless you've been living under a rock, then you know the Motion Design scene in Brazil is growing like crazy. Anymotion is the largest Motion Design event in Latin and South America. Every year hundreds of Motion Artists gather in São Paulo to listen to talks from MoGraph celebrities, network, party, and have a great time. The conference is primarily in Portuguese. Aproveite a conferência. The Pixel Show São Paulo, Brazil This yearly event is the largest creative festival in Latin America. Organized by Zupi Magazine, The Pixel Show brings together incredible artists in illustration, motion graphics, graphic design, comics, CG, VFX, and more together for an amazing event. With over thousands of attendees each year, this event is a must for those in the Sao Paulo area of Brazil. Anima Forum Rio de Janerio & São Paulo, Brazil In its 11th year Anima Forum takes place during the annual Anima Mundi Festival. The aim of the event is to create a space for national and international professionals in animation to meet and connect. During the event, attendees will experience the ability to reflect, discuss, evaluate and plan new pathways for the animation industry in Brazil. Iconic Network Online Conference South America The ICONIC conference is an annual online event created for those who want to work in the entertainment industry - be it illustration, concept art, animation, cinema, comics, CG or games. The event features 6 days of online talks with renowned artists for FREE. The Meetup and Event list below is a comprehensive list covering the European countries, which includes the United Kingdom. Please note that meetups and events are only listed if they are currently active within the community. See No Evil London, UK This London based user group boasts 10 years of existence and connectivity to the creative design community in the metro area. Meeting bi-monthly attendees can expect to network with other professionals, discuss work, showcase projects, and build collaborations. London Motion London, UK As they state in their mission statement, this group is designed to foster and build the motion design, animation, and video editing community in the London metro area. These monthly meetups give users the opportunity to discuss principles, methods, and advice on building a successful career. London Cinema 4D Meetup London, UK This London based user group showcases 787 members to date and meets once a month. This Cinema 4D focused group is for pros and noobs alike, and attendees can expect to network, swap tips, review tutorials, and to inspire their fellow artists. London Houdini User Group London, UK This Houdini focused user group boasts 210 members and meets several times a year. While the focus is squarely on Houdini and visual effects, they encourage animators, game developers, modelers, VR creators, and motion graphic artists to attend. This is an opportunity for artists from different backgrounds to network together. GLUG London, UK - In 35 Cities Worldwide Glug started as a small meetup group, but now has evolved into one of the largest and best artist networks in the world. Glug hosts several meetups and events all over the world and boasts over 20,000 members to date. With amazing connections and incredible speakers, Glug is definitely something to look into. Motion Hatch London, UK / Hosts Events Around the World Motion Hatch’s mission is to provide motion designers and animators the tools to do better business by releasing a bi weekly podcast and cultivating a enriching community. With 2500+ members online and a number of scheduled events throughout the year this is definitely a user group to keep your eye on. Festivus/Northwestivus London & Manchester, UK This semi-monthly meetup group hosts over 3,700 members and focuses on Motion Design, Character Animation, and Creative Direction. Created by AnimationBase, a career development company, attendees can expect to be able to network and connect with other amazing artists. Motion North Manchester, UK This Manchester based user group meets at various times throughout the year. With over 1,250 online members the group aims to create a community for professionals in motion design, animation, film, VFX in the upper regions of the UK. FRAMES - The Animators & Filmmakers Collective Camberley, UK Meeting semi-monthly and listing more than 400 members this meetup group is a great resource for artists in the Surrey area. Open to both beginners and professionals the aim of the group is to connect animators and filmmakers together to inspire, collaborate, develop skills, share tips, and network. Move Summit Edinburgh, UK This annual conference is Scotland's largest dedicated commercial animation event. The aim of the conference is to bring creative artist from video games, mograph, film, television together to learn, share and network. With an impressive Alumni group and speaker list, this is one conference you shouldn't miss. Playgrounds Amsterdam & Eindhoven, NL With 5,000+ attendees, Playgrounds meets twice a year to celebrate design and concept art for films. With presentations by the biggest names in motion, animation, vfx and concept art you can explore the world of creative design. Pictoplasma Berlin, GER The annual Pictoplasma Festival turns Berlin into the world’s epicenter of character design and art—and a vibrant meeting point for a diverse scene of international artists, illustrators, filmmakers, and game, graphic or product designers. Creators and producers meet for a central conference to exchange strategies for figurative aesthetics, while the wider festival invites the general public to discover new trends. KLIK Amsterdam Amsterdam, NL Focusing on animation this yearly conference boasts 9,300+ attendees. The aim of KLIK Amsterdam Animation Festival is is to connect and bring animators together to celebrate the industry and the art form. IBC Amsterdam, NL The United States has NAB, Europe has IBC. 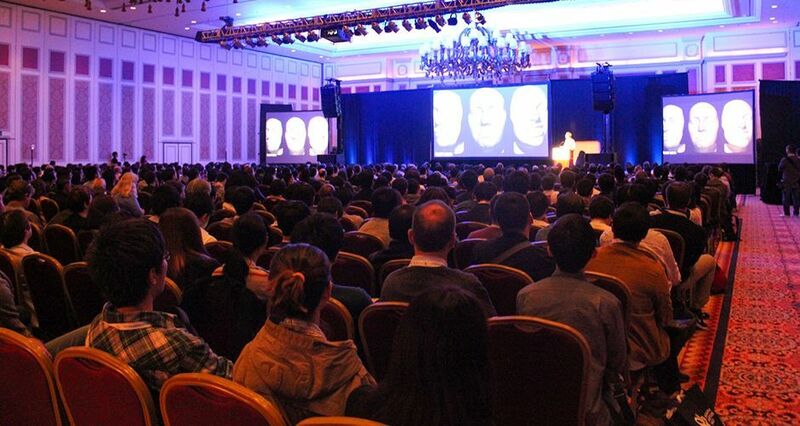 With well over 10,000 yearly attendees this conference is the end-all-be-all for the latest technology and techniques in the video and film industry. If you are in your in Europe this is a must. Just like NAB in the states there are countless presentations and keynote speakers to see. Motion Plus Design Paris, FR // Other Worldwide Events This conference showcases some of the best professionals in the motion design industry. With over 800 attendees Motion Plus Design is a great opportunity for beginners and professionals to meetup and network, while getting the latest information from the very best in the business. While primarily taking place in Europe the event has been hosted in Japan and Los Angeles. Motion Plus Design hosts some of the most interesting speaker lineups in our industry. MDC Meet Up Paris, FR Motion Designers Community (MDC) boasts a online membership of 16,000 and meets bi-yearly in Paris. Focusing on motion design, this event is for professionals and amateurs, and connects attendees together with the very best artists in the motion design industry. Extensive masterclasses and workshops are available, but fill up quickly! The Meetup and Event list below is a comprehensive list covering Asian countries. Please note that meetups and events are only listed if they are currently active within the community. Motion Plus Design Tokyo, JPN Motion Plus Design has hosted events in Tokyo, but we're unsure if they will be back. We'd love to see more events and meetups in this part of the world! The Meetup and Event list below is a comprehensive list covering the Oceanic countries, including Australia and New Zealand. Please note that meetups and events are only listed if they are currently active within the community and, or, industry. Auckland Meetup Auckland, NZ Blair Walker with the Pro Video Podcast hosts various motion design events in the Auckland area. The purpose of these meetups is for casual networking and connecting of motion design professionals. For more information on when these meetups happen tune into the Pro Video Podcast. Wellington Motion Design Wellington, NZ This Wellington based user group hosts 174 members and meets semi-monthly. The aim of this group is to gather any creatives interested in motion design, 2D and 3D animation, illustration, and visual effects. Attendees can connect with local professionals and share project ideas, insight, and tips. Node Fest Melbourne, AU This premiere motion design and animation event in Australia takes place every year in a effort to showcase the very best of Australian and New Zealand motion design for the rest of the world. With 400+ attendees each year this conference also showcases some some of the very best in the industry and provides users with extensive workshops, masterclasses, and amazing guest speakers. No MoGraph meetup near you? Every School of Motion Alumni receives access to our Alumni group. Just like in-person meetups, the group is a fantastic place to make new friends, share work, and talk about what it's like to be a modern Motion Designer. In the group you'll also find exclusive job postings, contests, and more! Want to Add a Motion Design Meetup to this List? We want this list to be a comprehensive list of Motion Design Meetups and Events throughout the world. If you would like to submit a meetup or update this list, please let us know about it by filling out this form. We'd love to get as many people as possible to your event. We might even send you some MoGraph swag for the recommendation! Now if you'll excuse us we need to ask EJ about what beer we should bring to our next MoGraph Meetup.